How will our increasingly digital civilization persist beyond our lifetimes? Audio and videotapes demagnetize; CDs delaminate; Internet art links to websites that no longer exist; Amiga software doesn't run on iMacs. In Re-collection, Richard Rinehart and Jon Ippolito argue that the vulnerability of new media art illustrates a larger crisis for social memory. They describe a variable media approach to rescuing new media, distributed across producers and consumers who can choose appropriate strategies for each endangered work. New media art poses novel preservation and conservation dilemmas. Given the ephemerality of their mediums, software art, installation art, and interactive games may be heading to obsolescence and oblivion. 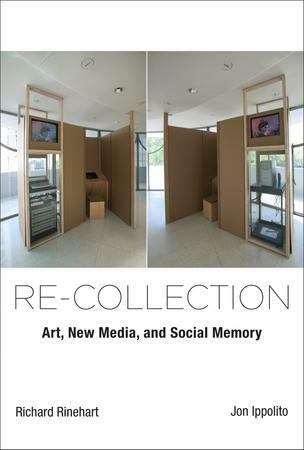 Rinehart and Ippolito, both museum professionals, examine the preservation of new media art from both practical and theoretical perspectives, offering concrete examples that range from Nam June Paik to Danger Mouse. They investigate three threats to twenty-first-century creativity: technology, because much new media art depends on rapidly changing software or hardware; institutions, which may rely on preservation methods developed for older mediums; and law, which complicates access with intellectual property constraints such as copyright and licensing. Technology, institutions, and law, however, can be enlisted as allies rather than enemies of ephemeral artifacts and their preservation. The variable media approach that Rinehart and Ippolito propose asks to what extent works to be preserved might be medium-independent, translatable into new mediums when their original formats are obsolete.